← 146. Do You See What I See? Celebrating New Year’s Eve seems like fun. ‘We have to have a good time.’ Finger foods, watching TV and fireworks at midnight. For many people, it is, however, a moment when they have to try to bear up, because the last days of the year have a way of being confrontational. As if, just under the surface, there is something brewing, which won’t allow itself to be pushed away any more. It’s the cleansing of the old year. The grief you feel because you are missing someone. It needs an outlet. It’s an unpleasant topic to bring up with the holidays, but it won’t let me go. I haven’t lost anyone in the past year, but a few of my friends lost loved ones this year. When I was in my twenties, I lost my father at 56 years of age. For him, it was nice that he was able to pass away. It confused me. I was happy for him so how could I grieve? The grief was there at times but it wasn’t until many years later that it really hit me. Grief doesn’t allow itself to be pushed away. As crazy as it sounds, it wants to be experienced and to be seen. If you think about the person you are missing and you become sad, you need to cry. It’s as if the pain you feel in your throat or your heart brings you closer to the other person for a moment. As if you are connected to each other again. It takes you above remembering and into being together. There is a great danger about which I am very concerned. If people can’t experience their grief, crying, they slip into depression and become despondent. I think it’s a great shortcoming in western cultures that there is no room for death and that little is spoken about dying. People who have died are not spoken about, as if they never mattered. I see a lot changing in younger generations, thankfully. But I still seriously worry about people who live within a family circle, for which death is a taboo and everyone has to work through their own grief. People who can’t handle it, especially youngsters, are at risk. They run the risk of keeping their grief to themselves, turning it inward and creating health problems or depression. People who don’t cry are afraid to be broken. Tears that aren’t cried result in headaches. Grief that is repressed turns into depression. Grief that is felt sweetens bitter memories. If there’s one film I recommend about this, it’s the film “Inside Out”. An animated film about how the brain works and how Joy, Sadness, Fear, Disgust and Anger take turns being the leader. The film is wonderful and humorous. I laughed out loud several times out of recognition. And the film’s message was an eye-opener to me. Sadness plays a leading role and becomes a wonderful energy source once she has been seen and heard. Look, for example, at who’s in charge in the mother’s mind. Yes, for sure, Sadness! Sadness, as a sensitive center that is alert to other people’s emotional balance. And how about you? Did you have fits of weeping when you started doing the MIR-Method? Was it a clue for you that you were working through something? I’d love to hear about it! Please write about it below. Thank you! I wish you soft, loving closure to the old year and a newly cleansed fresh new year! Thank you for all your Newsletters over the year, this one on Grief is really right for the end of the year. I have attended 2 funerals this year. The 2nd one felt more like a celebration of that person life but the one who is left will have their moments of Grief. we have all had someone who has passed. We have moments of sadness as we reflect on past events. Suddenly we might feel sad or a sense of loss and don’t know why. or again grief not just for a person but a situation or experience. Yes, thank you for adding this to the article. I guess it is a good thing to allow the sadness to be there next to the joy. Thank you for your kind words and wishes! Hope for you also good health and joy in 2017! On the 11th of October 2016 my younger sister passed away rather suddenly. Yesterday as we, my mother, her daughter and her grandchildren, and my son, sat together, we took the time to read thru the condoleances card. As the youngest granddaughter read the positive words that people wrote, we were able to comment. And yes we even had some laughter. Her daughter has also said that she was angry because her mother did not take care of herself. I think all verball expressions help in airing the deeper feelings of our heart. personally I tear up easier at present, a song, a comment, a particular situation. As she has only one daughter and I have sons, I am happy she has always been part of our family. It makes it easier to go thru these times. 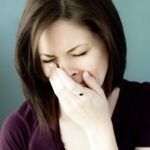 I have been doing the MIR-Method and found it has helped immensely to ease my anxiety. Before starting this, I had already begun meditation and in particular focusing on grief/guilt. I wanted to share something that I have found useful. According to Chinese medicine the lung is related to grief. It is from an old TV show (1954) and this woman inspired me. She’s 78, in 1954 and she can do this exercise better than me!! You can fast forward to about 21:20 minutes to see the “spunky old woman” do her breathing exercises. What I do differently is that I exhale through the mouth as my arms descend and I visualize the toxins from grief being forced out. ( I ask my cells to release any toxins related to grief) It is a great chest opener but when I add the visualization it makes a difference for me. And yes—–I totally agree with you that tears must be shed, grief must be felt and it is OK to feel horrible. After my mother died (and still today 6 years later) I allow the tears to flow and then I get moving again by reminding myself that my mother does not want me to be sad. So I then decide to do something to honor her—even if it as simple as cooking myself a healthy meal. Thank you for sharing this method–you are a blessing! How sensitive you handle your grief, inspiring. Remembering your mother, feeling the grief and then letting go of it with a small ceremony. Yes, the lung meridian is connected to grief. And it’s a good thing to clear that meridian. Have you also read article 58. Free Your Lungs of Grief. It has everything to do with what you mention about Chinese medicine. And holding in the grief can actually cause lung issues. Thanks for adding the video! I was laughing when I saw this lady telling Grouch Marx to put away his cigar! 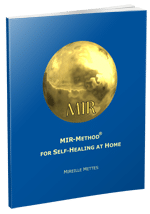 Greetings and thanks for sharing the MIR-Method!